At South Windsor Dental, we are committed to making your visit to the dentist a faster, safer, and more comfortable experience for every patient we treat. Processing dental insurance claims is one way we take some of the stress out of your dental care experience. We are happy to file claims for most major benefit plans, and we are in-network with a number of providers, including Delta Dental. Whether or not we’re in your insurer’s network, we’ll be happy to process your claims, so don’t hesitate to ask our team members about your coverage. If you have dental insurance through Delta Dental or one of our other in-network providers, please let our team members know when you call to schedule your first appointment. 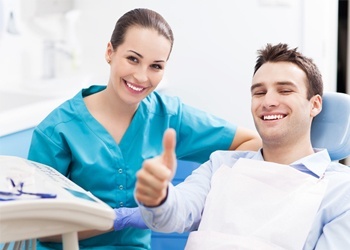 We’ll start maximizing your dental benefits from this very first trip to our dental office. Every dental insurance policy is different. You will be given many options, premiums, and plan elections when you pick your dental insurance policy, and your coverage will be based on these plan elections. 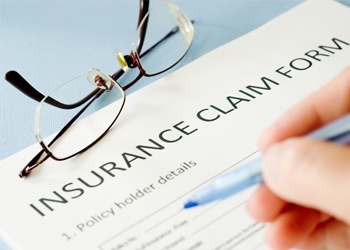 Before our team offers any cost estimates, we’ll need to review your individual insurance policy. In most cases, preventive dentistry services like dental checkups and teeth cleanings are covered between 80 and 100%. Minor restorative dentistry treatments like tooth-colored fillings are usually covered 50 to 80%, and more advanced restorative dentistry services receive 25 to 50% coverage. Other services, like orthodontics or dental sedation, may also be covered by some Delta Dental policies, but we’ll need to review your individual plan before we can offer an estimate for these treatments. Most dental insurance plans allow you to choose to visit almost any dentist and still receive benefits from your insurer. However, when you choose to visit an in-network dentist, you can rely on that dental office to be familiar with the insurer’s policies, the percentage of coverage available for specific treatments, and any plan maximums set for specific services or for annual benefits. Most importantly, an in-network dental office has an agreement with your insurer to charge fees that fall within your plan’s set pricing, so you will only ever be responsible for the out of pocket percentage of the cost of dental treatments. 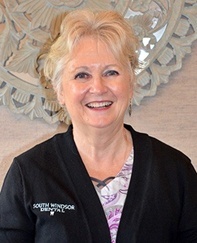 If you have dental insurance questions, call South Windsor Dental and ask to talk to Ginger. While any of our dental team members will be happy to talk to you about your insurance coverage, Ginger is our go-to team member for all questions about dental benefits. With more than three decades working in dentistry, Ginger understand the ins and outs of even the most complex dentistry plans. Don’t hesitate to ask Ginger any of your dental insurance coverage and policy questions. She’s always happy to help relieve the stress of financing your dental treatments.